Indian Vanity Case: Oh-My-Bows! They're Here!!! 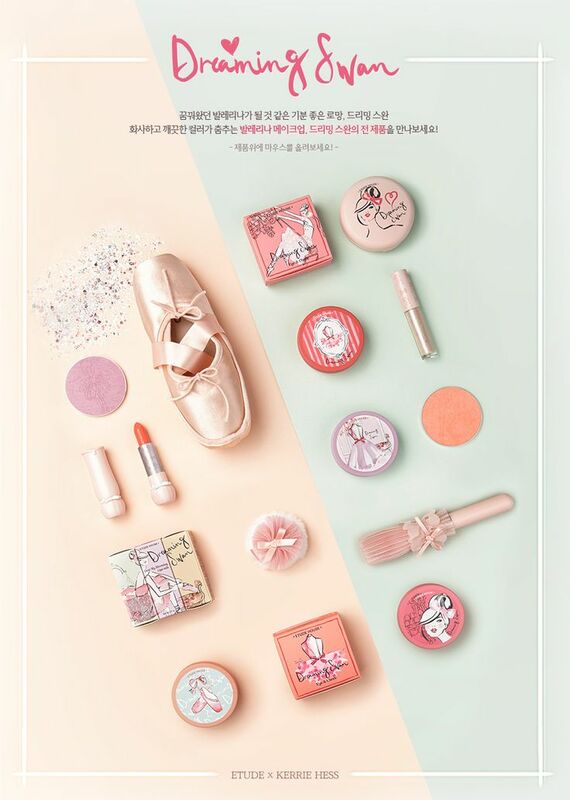 These to-die-for pretties are from the Etude House Dreaming Swan Collection, which is their newest Limited Edition Collection. In collaboration with illustrator Kerrie Hess, it is inspired by the Ballet. Everything is girly, and tutu, and bows, and sooo dreamy! I can't get over how gorgeous the packaging of everything is! I got a few more products, so I'll be posting more pictures with all the products in another post. I just wanted to post this, so y'all can go grab them before they're gone! I see a lot of products from this collection have SOLD OUT! So you can head to Ebay, if they're not available on the website anymore. They came packed nicely in bubble wrap in a box and - THANK GOODNESS - nothing broke during shipping! You really love bows CZ. Even sometimes I even buy for packaging. Get well soon. this is such a treat to eyes! Aww this is adorable! Did you buy one of each ?!? Eager to see more pics!